The post Google invests $22 million in feature phone operating system KaiOS appeared first on MobileSyrup. Mountain View search giant Google invested $22 million in a feature phone operating system. Called KaiOS, the operating system is a U.S.-based project that began in 2017. It’s built from the ashes of Firefox OS, a failed experiment by Mozilla that tried to create a new mobile OS for low-cost smartphones. As part of the investment, KaiOS will work to incorporate Google services like search, maps, YouTube and Assistant into more KaiOS devices. In February, KaiOS announced it would add Google services to the new Nokia 8110. However after the investment it appears these features will be expanded to all models. Google’s services aren’t the only ones on KaiOS. Earlier this year, Facebook and Twitter got on the feature phone craze, and brought apps to KaiOS. Feature phones? Are we in 2000? 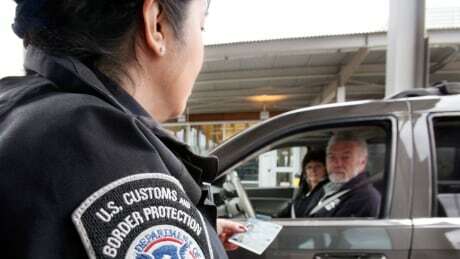 No, we didn’t travel back to the turn of the millennium. Feature phones are making a comeback in a big way. According to Counterpoint Research, almost 1.6 billion smartphones were shipped in 2017. According to TechCrunch feature phones are moving too, with an estimated 450 to 500 million units shipped in 2017. And feature phones sales are growing faster than smartphones. Feature phones are making a comeback because they’re really cheap — and they’re starting to get really good. KaiOS brings a lot of ‘smart’ features to feature phones. It supports 4G, it has an app store, it has games and enables messaging, voice and video calling and email. Why buy a smartphone when you can get some of those staple features on a low-cost device? The strategy is working as well. 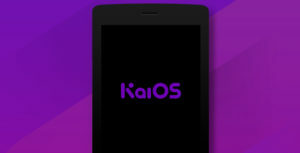 KaiOS told TechCrunch that it has shipped more than 40 million KaiOS phones to-date. In India, KaiOS overtook iOS as the second-most popular mobile operating system after Android. Furthermore, KaiOS has some respectable manufacturers on board, including Nokia (HMD), Micromax and Alcatel. It also works with U.S. carriers Sprint and AT&T and has offices in North America, Europe and Asia. However, it’s most significant deployment was India’s Reliance Jio. Reliance Jio came onto the scene in India in 2016. It offered incredibly cheap 4G packages and disrupted the Indian telecom market. Now Reliance Jio offers its own range of KaiOS powered handsets. Thanks to the low-cost plans and cheap handsets, KaiOS’ share of the Indian phone market reportedly jumped to 15 percent. 15 percent of the market in a high-growth market like India is eye-catching, especially for Google. Anjali Joshi, vice president of product management for Google’s Next Billion Users division, told TechCrunch the search giant wants everyone to have access to it’s services. However, it’s more than just about having access to Google services. If the search giant can get feature phone users into it’s ecosystem, chances are better they’ll look to Android next time they buy a phone. Either way, Google comes out the winner. If users stick with KaiOS, it has them. If users look to upgrade, it probably still has them.